One of our oldest, cutest, funniest books is Applicant. Originally a zine that made the transition to bookdom after it sold gazillions of copies to guffawing survivors of the academic industrial complex. 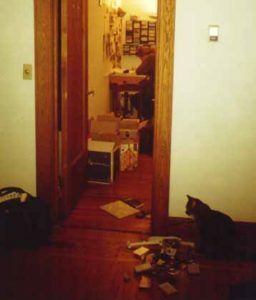 Creator Jesse Reklaw found a pile of old applications in the trash behind a major university, complete with photos of the applicants. He paired these photos with choice, typed comments made by the evaluating committee. And ohhh it was painful. The only other thing I’ve seen quite like it is the sadly now-defunct “Nice Guys of OK Cupid” blog. But in this case, we relate to the derided applicants and are angry at the smug, faceless judges that once, long ago determined their fates. 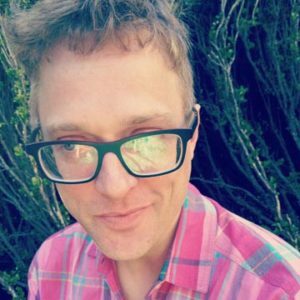 Reklaw, who has a new book coming out soon, answered some questions over email many years after the fact. 1. 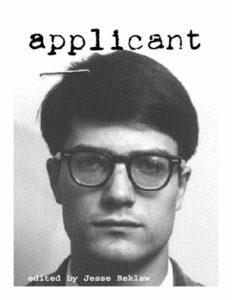 Applicant is one of our earliest books, and it still holds up painfully, hilariously well. Did any of the applicants pictured ever contact you? Do you get guilty emails from interviewers wanting to confess their application commentary sins? Man, I wish I’d get guilty, confessional emails! How do I arrange that? I have earnestly tried not to connect with anyone pictured in Applicant; because I am afraid of getting sued. In fact, I recycled all the original files and deleted the names of the people from my computer (maybe also because I know I am a born stalker, and I did not want the temptation around). I do know a woman who got her Ph.D. in neuroscience from one of the future professors pictured in that book; she said he was a good guy. But still. 2. You’ve done a bunch of different kinds of books… mostly comics. Do you have a favorite genre or type or style or topic? Yes, comics is my main thing. Applicant was kind of a fluke for me, inspired by my interest in zine culture. I actually made the whole thing in the summer of 1998, after I dropped out of grad school. In some ways I think of Applicant as my Meta Masters Thesis: my critique of grad school culture and what was for me a better alternative (dumpster diving). I have always preferred personal, raw, independent voices in publishing. So regarding comics, I’ve read a lot of autobio, graphic novel memoirs, and diary comics. Lynda Barry and John Porcellino are two of my heroes. I also like well-crafted comics fiction, usually on the oddball side. 3. What have you read or seen recently that inspired you the most? I realized a couple years ago that I have failed to read very much fiction by women, so this year I’m trying to correct that. I’ve been quite inspired by Virginia Woolf. I try to keep up with comics (“graphic novels”) too. Three recent favorites that come to mind are Beautiful Darkness by Kerascoët, By This Shall You Know Him by Jesse Jacobs, and Arsène Schrauwen by Olivier Schrauwen. 4. What are you working on right now that you’re most excited about? 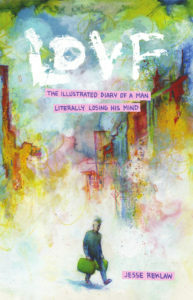 I just finished making a travel diary / sketchbook / graphic novel called LOVF, that will be released from Fantagraphics Books in July this year. This book evolved from a notebook I had with me during a manic phase, and it’s dripping with intricate, intense, and confusing drawings. After I got better (? ), I added a narrative so it kind of tells the story of my “vision quest” as a homeless crazy man. I’m excited and terrified to go on tour to promote this book. Subscribe to all of Microcosm’s music books, as they come out. Scene histories, punk memoirs, journalism and cultural commentary about DIY music, in-depth looks at record labels… you’ll get ’em all. Your sustainable living toolkit! Subscribe to all of our most popular books, as they come out: Cookbooks, DIY project books, books about healthy relationships, bicycling, fermenting, building, mending, growing, and generally living the life you want in every way. New April Books! Mama Tried, Urban Revolutions, Velocipede Races, and Beverly Cleary’s Birthday! Today is April 12th, which means a lot more to us this year than it usually would. First of all, today is Beverly Cleary’s 100th birthday! 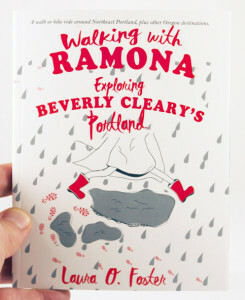 We worked hard all winter to get our new book Walking with Ramona: Exploring Beverly Cleary’s Portland to print in time for the occasion, and we’re so pleased with how it turned out. The author, Laura O. Foster, has a wonderful essay up on the Powell’s blog today, and also supplied several facts for the CBC’s 100-fact roundup for the occasion. The weird thing about publishing, though, is that while that book exists (and you can snag a copy on our website), it doesn’t technically come out until its official October publication date. We do have three other books that have been printed for a while now that DO technically come out today, April 12, 2016, and we want to celebrate those books’ proper birthdays here. Let us present Microcosm’s all-star April lineup! Cecilia Granata’s vegan takes on the authentic Italian food she grew up with will excite your taste buds while her flash tattoo art will make your skin prickle in anticipation of your next tattoo. Read more about her book here. Emilie Bahr is an urban planner, a city cyclist, and a proud Louisianan. She wrote this book to help introduce a friend to the joys of transportation cycling, and to share her professional knowledge and passion for the worldwide urban bicycling revolution. Fun fact; our designer started bicycling *while* working on layout for this book. Read more from the author here. Urban Revolutions: A Woman's Guide to Two-Wheeled Transportation from Microcosm Publishing on Vimeo. A page turning coming-of-age novel, set in an alternate, Victorian-ish universe where boys ride bicycles and girls wear corsets. Our heroine Emmeline tries to break the mold and has a series of unexpected adventures. The first novel in our Bikes in Space line! Read our interview with the author here. The Velocipede Races Book Trailer from Microcosm Publishing on Vimeo. One of the best parts of working in publishing is that there is always something new to learn. Where do we learn it? From books, of course. Here’s a list of some of the books that have been most helpful to Microcosm workers recently, and that we recommend to you, aspiring publisher / editor / writer / designer / production manager / roller-arounder-in-books. We added a couple in that we published, too. This is just the tip of the iceberg, of course. We’d love to hear your recommendations! This book rules. If you want to write or publish books, read this first. 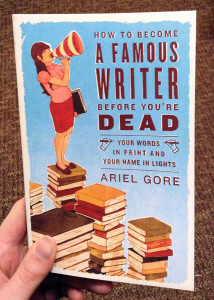 Ariel Gore shows you how to write, publish, and promote what matters to you, and how to build a readership from the ground up. If you want to get into writing or publishing is a get-rich-quick scheme, there are other books about that; this one shows you how to do it because you have a vision to make something meaningful. Full of golden advice from someone who’s done it—and is still doing it—successfully. We always recommend that would-be publishers start small—make something yourself that you passionately believe in, learn the trade, and start building a network and a movement before you get mixed up with Amazon, trade distributors or doing any kind of business at scale. 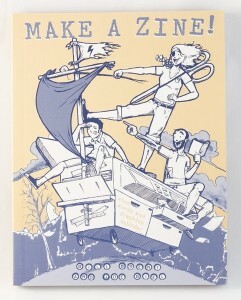 This book contains a wealth of information for publishing a zine, comic, or book yourself, with real knowledge about everything from acquisitions to production to marketing. 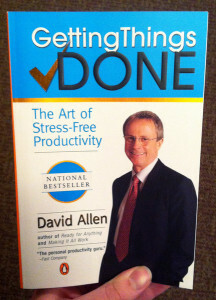 One of our authors recommended this book, and we in turn recommend it to you! The sad truth is that it doesn’t matter how good your writing is if you can’t captivate readers’ attention on every page. 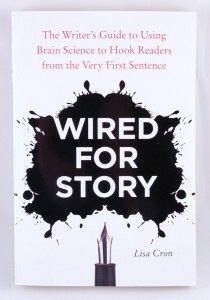 Lisa Cron shows you the neuroscience of story, and it’s invaluable. This book is great for writers, editors, and anyone doing title development, aka the publisher. Learning how to tell a compelling story is essential for getting anyone to read that story… actually writing it well is still important for other reasons. William Zinsser is one of the best guides as you learn that part of your craft, as a writer or editor. This is the best book we’ve found about what it’s *like* to be an editor. Which is almost as important, if not more important, than the nuts and bolts of learning how to edit. Betsy Lerner has worked in a number of different New York publishing houses and shares stories and knowledge and her valuable experience. If you are an editor, work with one, or want to be one, you’ll glean a lot from reading this. If you plan to have anything to do with visual storytelling—comics, picture books, art books, whatever—this guide (in comics form, of course) is very helpful for understanding how to visually tell a story. People go into publishing because they love books; the reality is that you spend a lot of time with data, spreadsheets, contracts, budgets, production schedules, inventory, software, email, and a gazillion little tasks, each of which is vitally important and intricately relies on many other things being done right. It can all get to be overwhelming, especially if you’re a one-person publishing shop. GTD is the gold standard for organizing your complicated life without succumbing to stress or losing sight of the big picture. Another thing most people learn after launching their publishing career rather than before is that much of the job is about negotiating—contracts, relationships, deliveries, solutions, whatever. There isn’t a lot of abundance in the industry, and people are often in it for very different reasons and with very different expectations. This is hands-down the best book on negotiation that we’ve found, and will teach you real and practical skills for building lasting, sustainable relationships beyond just closing the deal. This book is dense and tough to read. The slog is worth it if you’re serious about publishing as a business, and if you need that business to make money. The best time to read this book is when you have already been doing the work, have some books under your belt, and are starting to wonder if you’re ready for trade distribution and/or to hire a second person. Wait, what? 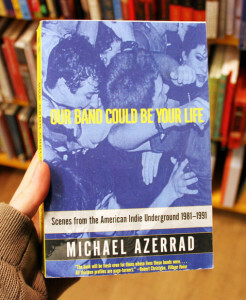 This is a history of underground and punk music in the 80s and 90s, not a publishing manual! Actually… this is also very much a book about how to launch a scrappy, ragtag business all the way to the moon, be you a drunk and angry drummer touring in a filthy van or a teenager in your bedroom with a big dream and a cassette duplicator. Microcosm is built on similar foundations, guided much more by the DIY music industry than the book publishing world, and this book can profitably be read as a fascinating case study of businesses run—some more successfully than others—entirely without traditional resources like capital or training, but with no shortage of values, creativity, and pure energy and rage. 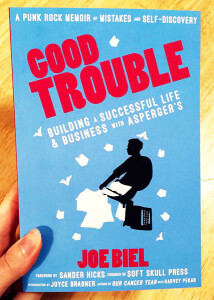 Microcosm founder and publisher Joe Biel’s memoir can be read through several lenses, and one of them is small press business manual. The company’s often bumpy, sometimes glorious, always edifying history can be found in these pages, along with background on some of the stuff that makes the gears turn—contracts, management, strategy, accounting, proofreading, and more. And if we do say so ourselves, it’s also an excellent example of reader-oriented development, which is what any memoir published today needs beyond all other qualities. And don’t forget you can read our Business of Publishing blog series right now, without waiting for our store to open or your book to come in the mail. Indie Bookstore Love: Boneshaker Books in Minneapolis! Our indie bookstore crush for the month of April is on Minneapolis’s one-and-only all-volunteer bookstore collective, Boneshaker Books. Walking into Boneshaker is an amazing experience—a friendly person greets you, and you’re surrounded by a selection of books, each one of which was obviously chosen because someone passionately wants you to read it, not because of sales metrics. Even the way the sections are selected is thoughtful and eye-opening. For instance, most bookstores have a separate sections for African American and Native American histories… in Boneshaker, those are both just plain American History, and make up the bulk of that section. Chances are a volunteer worker will make you feel right at home, leaving you alone to browse if that’s what you prefer or engaging in a spirited discussion of the ethics and techniques of writing fiction, if that’s up your alley. The collective is putting up a Microcosm books display this month to celebrate our shared history and values (pics coming once that happens! ), and they also took the time to answer a few questions for us. 1. 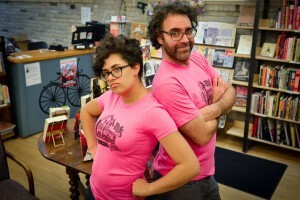 What is the history of Boneshaker Books? After longtime Minneapolis radical bookstore Arise! closed in 2010, a group of former volunteers decided that there was still a need for an all-volunteer community bookstore—and, that if done thoughtfully, it could be successful and self-sustaining. Our original crew had an extremely diverse skill set that included a professional fundraiser, a carpenter, an artisanal iron worker, and a web developer, and we leveraged those skills as much as possible. Along with the usual Kickstarter and benefit events, we came up with a unique fundraising plan: every donor of $250 or more could pick a book title that we would stock forever. So not only did we build a strong donor base, but they literally built the foundation (or skeleton) of our collection. We like to say that every book in the store is there because someone—donor or volunteer—loves it. We intended to open in the old Arise! Bookstore building, but it fell through for a few reasons, mostly due to money. After contacting some neighborhood groups, we found an odd space in the back of a quirky building in the Seward neighborhood, near our friends at the Seward Cafe. It turned out to be a perfectly magical fit. We were also able to share the space with our friends at the Women’s Prison Book Project who distribute books to women and transgender persons in prisons. After a year of writing business plans, fundraising, building beautiful custom bookshelves, and making dreamy book lists, we opened in January of 2011. Over the last five years, we’ve sold thousands of books, hosted hundreds of events, meetings and book clubs, and thrived with the support of countless volunteers and patrons. It’s been a wild ride, and we look forward to the adventures the next five bring. 2. A boneshaker is a Victorian-era bicycle; we too love the combination of books and bicycles. How did you choose the name and what do bikes + books mean to you? So one of the ideas that we included in our vision of Boneshaker Books from our earliest collective meetings was to offer a free bike delivery service for special orders. Many of our founding collective members rode their bikes for transportation already, and it just seemed like a natural addition to our store. So as we discussed that intersection of interests, we gravitated towards a bike/book name. And as we thought more about that combination, we thought about the ideological similarities between riding bikes and reading books. Today, neither of those things is seen as essential to enjoying your life—but anyone who rides a bike or reads a book will tell you how empowering those activities are! How they are essential to so many of us! Riding a boneshaker bike is also a really jarring experience, which we think describes our inventory pretty well. We carry books that rattle your core, and the name Boneshaker Books fits that perfectly. 3. What’s your favorite (or the most popular) Microcosm book in your store? How about any book at all? So this might be a little biased, but our favorite Microcosm book is Fire and Ice by Joshua Ploeg. In 2012 we were hosting a Valentine’s Day fund raising dinner—and maybe not surprisingly, we don’t have a ton of experience catering gigantic dinners. But it turned out that Joshua was going to be in Minneapolis that night, so we reached out and asked for his help. And he pulled through in such a huge way! He helped us make the most incredible vegan dinner, with, like, Husker Du themed foods! And then one of his fans showed up, this awesome vegan chef from Minneapolis, and she cooked a ton of delicious food with us, too. It was just this totally overwhelming experience, and it still stands as our most successful fund raiser ever, four years later. Fire and Ice happens to be our best selling Microcosm title too—which is nice. 4. You’ve been around through some major ups and downs in the book business. 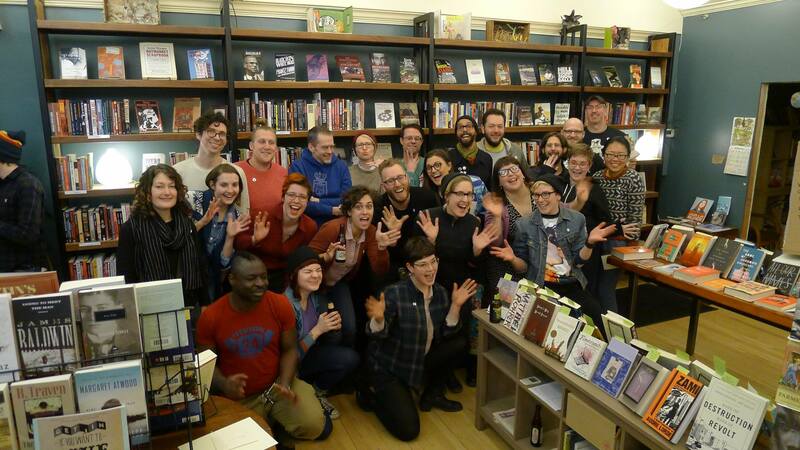 Has being a volunteer-run collective helped get you through that or given you a different perspective than a for-profit bookstore might have? What do you hope happens next? At any given time we have over 40 active volunteers, and sometimes that number goes up to 60. That means every day there are between 40 and 60 people who are contributing ideas, recommending books, organizing events, and making Boneshaker Books a better community book store. 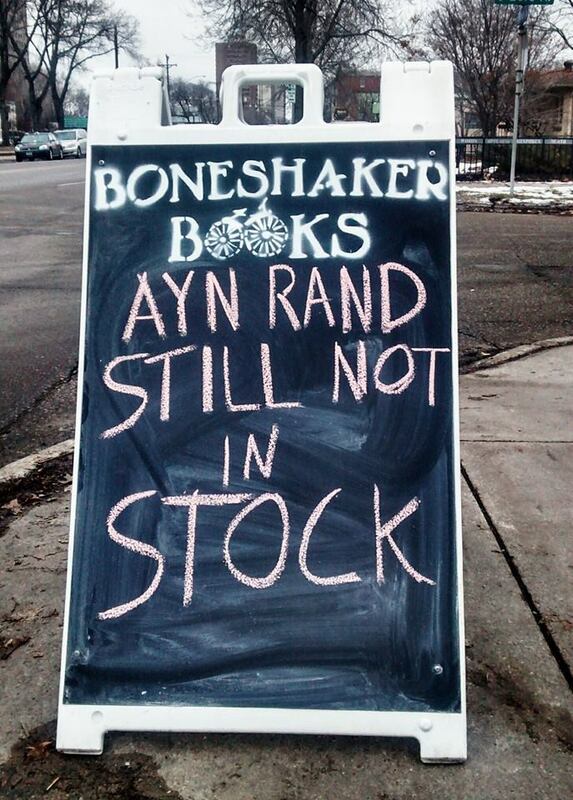 So that’s probably the biggest perspective-shift between Boneshaker and a for-profit bookstore. We have more ideas coming in, we have a more diverse set of stake holders, and—as volunteers—we’re less dictated by making stacks of cash. We need to pay rent every month, but other than that, we don’t have nearly as many expenses as a traditional bookstore—and that lets us take risks with our inventory that wouldn’t be possible otherwise. Our next big hopes are to expand our bicycle delivery service to include a dedicated bike trailer stocked for events, and we’re dipping our feet into online sales. Maybe. 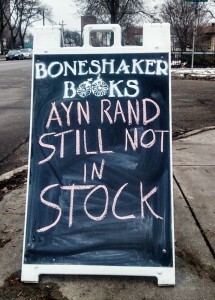 Visit Boneshaker Books every day from 11 to 8 at 2002 23rd Ave S in the Seward neighborhood of Minneapolis, Minnesota! And thank you for supporting independent bookstores!